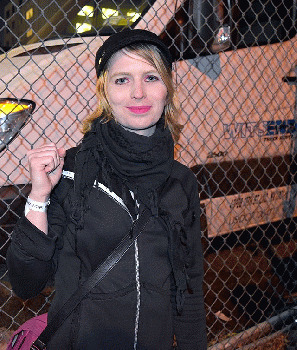 Ongoing Torture and Abuse of Chelsea Manning Chelsea Manning's horrific mistreatment is happening all over again. For justifiably resisting the Trump regime's attempt to incriminate her, along with wanting to use her grand jury testimony against Julian Assange, she is invoking her constitutional rights, refusing to respond to unjust questioning. 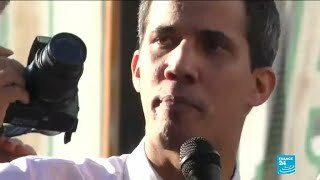 The Western Media Lying Machine in Action on Venezuela An article called the self-styled newspaper of record NYT a press agent for US-designated Venezuelan puppet/usurper in waiting Juan Guaido, a traitor to his country, guilty of sedition and/or treason, belonging in prison for crimes against the state. Like other Western media, the Times backs him, ignoring his illegitimacy and high crimes. Targeting Iran Hostile US/Israeli rhetoric is longstanding. Obama and Netanyahu consider Iran an existential threat. Claiming it turns truth on its head. America's War on Islam 2.0 Waging war at home or abroad requires enemies. America creates them when none exist. Imperial strategy demands them. Hagel in Israel On April 20, Defense Secretary Chuck Hagel began a weeklong Middle East trip. Anatomy of a False Flag False flags are an American tradition. They go way back. Key is whether the Boston bombings are the latest. More on that below. Venezuela's Maduro Inaugurated Latin American and other heads of state attended Maduro's inaugural ceremony. Earlier he accused opposition forces of triggering post-election violence. The Bloom Is Off Gold It is for now. Don't bet against it longer term. Value eventually wins out. Gold's secular bull market continues. Experts believe it has a long way to go. Palestinian Prisoners Day On April 17, Palestinians commemorate Prisoners Day. They do so annually. They've done it since 1979. It marks Mahmoud Hijazi's release. Israel freed him in its first ever prisoner swap. Washington v. Venezuela Longstanding US plans prioritize regime change. It's the oil, stupid! Venezuela has the world's largest reserves. It's a prize Washington covets. Post-Boston Bombings Fear-Mongering On April 17, major media reported Obama and Senator Roger Wicker (R. MI) receiving letters containing suspicious substances. Anti-Zionism Not Anti-Semitism Ronnie Fraser heads The Academic Friends of Israel (AFI). According to its mission statement, it was established to "fight the academic boycott of Israel and all other forms of anti-Semitism in the UK and the International academic and scientific arenas." Destabilizing Venezuela On April 14, Venezuelans elected Nicolas Maduro president. He won fair and square. It's official. A nationally televised Monday ceremony announced it. Hunger Striking for Liberation, Justice and Dignity Samer Issawi's a Popular Front for the Liberation of Palestine activist. In April 2004, he was wrongfully arrested. He committed no crime. Gold Drops Most in 30 Years It's getting hammered. In August 2011, it rose above $1,900 an ounce. It was an all-time high. At midday April 15, it was $1,364. It's a 28%+ decline. Venezuela: Post-Electoral Sour Grapes Throughout his tenure, America's scoundrel media vilified Chavez relentlessly. They did so straightaway. Chavismo Wins Venezuela's spirit of democracy lives. Celebratory fireworks followed Maduro's win. They were more subdued than last October. Chavez won then by 11 points. New York Times v. North Korea The Times is America's unofficial ministry of information and propaganda. Daily managed news misinformation is featured. Imperial Partners Showcase Their Ruthlessness America and Israel partner in injustice. They prioritize it. Imperial lawlessness is policy. So is state terror. Many examples explain. They're commonplace daily. New York Times Anti-Palestinian Bias On April 4, The New York Times headlined "Palestinian Defiance on Display at West Bank Funerals."